Lodestar Solutions was able to help Marcus (not his real name but a real story). Today I’ll share how we helped an IBM Cognos and TM1 User achieve his goal of reduced support costs saving them $30,000 on their annual support costs. With a little creative positioning and with a good partner that understands licensing and renewals you can too. Additional Licenses: Marcus needed additional Cognos Analytics (BI) licenses. We had been working on selling growth of their Data and Analytics initiatives for quite some time. We had created an analytic roadmap that started with stabilizing and improving their environment to provide better performance. The analytics roadmap included growing and upgrading their Cognos TM1 which was going unsupported in September 2019 ​https://www-01.ibm.com/software/support/lifecycleapp/PLCDetail.wss?synkey=W204762F30868K79-K079999J59975R93-U084379N88437X84. It also included leveraging Planning Analytics’ (TM1) new functionality and then moving to predictive and prescriptive analytics. But Marcus knew his executives would not approve the phases if the subscription and support, also called renewal costs, were not controlled. Many IBM Cognos clients experience a 10% uplift each year on their support renewal bill, which seems outrageous. That is until you understand the logic of IBM Support. Clients that experience a 10% increase actually are getting a deal. IBM support is based on your discounted purchase prices, not the list price like other software. So, if you negotiated a good deal on your software purchase you will continue to see saving on support in the future, but they will increase it about 10% until you hit list price. At the time your IBM support is at list you will typically see only a 3% increase. More information on IBM support increases https://lodestarsolutions.com/why-did-my-ibm-cognos-support-renewal-rates-increase-so-much/. In Marcus’ case the need for new licenses aligned with his support renewal bill. This is a key point! If the client just wanted IBM to reduce the bill, it probably would not have happened. But when the client has a potential purchase of additional licenses, he now has leverage and can use this to negotiate his renewal. It also helped that it was the end of a quarter for IBM, which is a great time to buy software. In order to use a purchase as leverage you do typically need a substantial purchase of additional IBM Analytics products, over six-figures. Working with Marcus we presented three alternatives that could help reduce his annual support costs. IBM Analytic clients that want to reduce their increase on support can prepay future years support. Sorry, the year that is due is not considered a prepay. Typically, I see clients that will prepay 2 or 3 years of support to reduce the increase percentage for the out years. This can cause a cash flow challenge so some clients will us IBM Global Financing to pay the out years of IBM Support, especially if IBM is offering an interest rate that’s lower than the uplift. For more information on IBM Global Financing check out https://www.ibm.com/financing. Another option is to request a Not to Exceed addendum with a legal commitment. Basically, when negotiating a substantial purchase of additional IBM Cognos Analytics licenses you can include in the negotiation that you want an addendum that caps the percentage that IBM will uplift the support. Typically, IBM will only go out 2-3 years, but it can save you a lot of money. The secret to getting the increase percentage to the lowest possible rate, you would need to commit to purchasing support for the years covered under the agreement. Yes, this is a legal binding document. If you feel uncomfortable signing a document that legally commits you to purchasing support, another option would be a Not to Exceed Addendum that is more like an option than a commitment. Typically, IBM Support will not give you as low of an uplift as they would with a commitment but it’s a good option. Additional information on Not to Exceed https://lodestarsolutions.com/minimize-ibm-cognos-support-costs-nte/. If you are working with a partner like Lodestar Solutions, they will make sure you have the right language in the addendum. Here’s the trick, IBM has a few flavors of a Not to Exceed provision and you want to make sure you know what you are getting yourself into. Partner Friendly Language: Make sure the addendum has partner friendly language and does not restrict you from purchasing future support only from IBM. If your partner is helping you, you should support them don’t you think? Flexible Language: If you think you might want to make changes to your licenses like upgrades or moving to flex points during the term of the addendum you want to have a contract that can be modified. Back to our story. 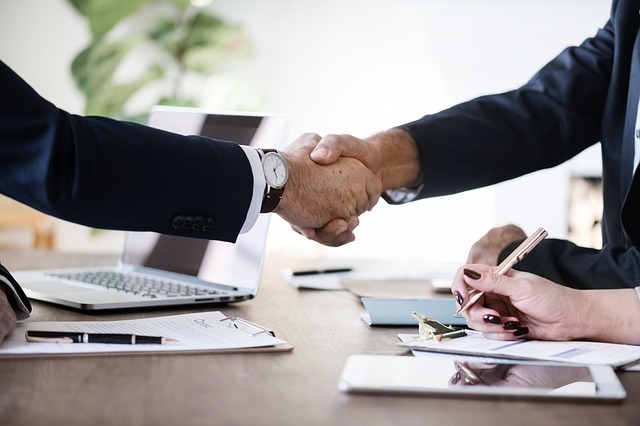 Marcus, with Lodestar's help decided the best route for his organization was to sign a flexible not to exceed provision that committed them to purchasing future support, but they could still purchase it from Lodestar Solutions. After careful negotiations we secured an uplift rate that was significantly lower than the 10% that was anticipated, saving them on average over $30,000 a year over the term of the addendum. So, that’s how an IBM Cognos Analytics user reduced support costs and saved $30,000. But, don’t go it alone! You don’t have to. There is uniqueness in every deal. Lodestar Solutions takes prides in understanding the IBM Analytics Licensing, even the old licensing and helping you save money. If you want help reviewing your IBM Support Renewals and seeing how we can help you save significantly on your future support renewals, please contact us at Sales@lodestarsolutions.com.